Get continuous, automatic, wrist-based heart rate monitoring and see simplified heart zones with no uncomfortable chest strap. 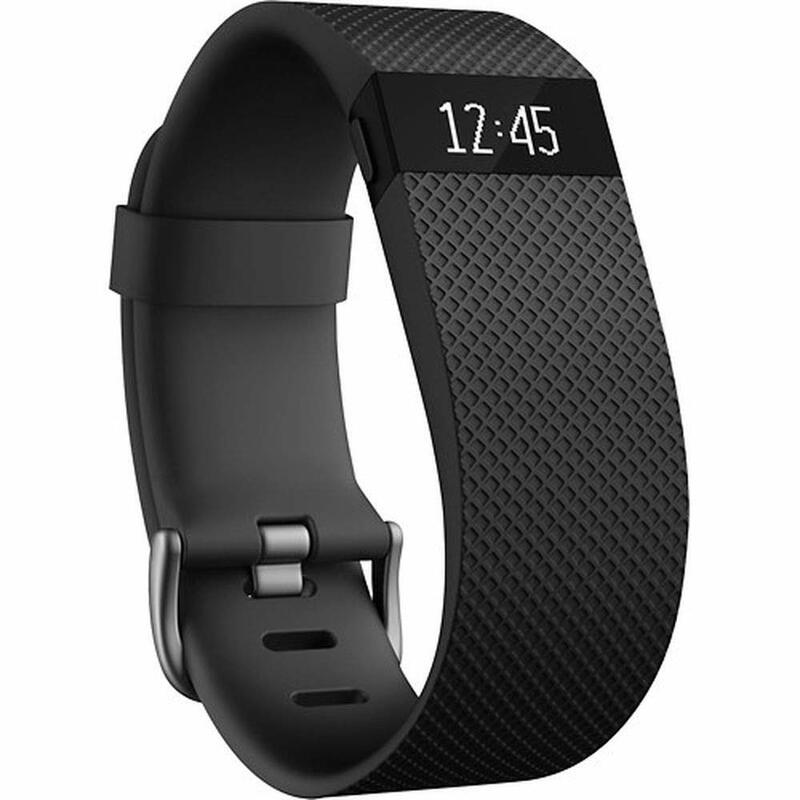 Track your steps taken, distance traveled, calories burned, floors climbed and active minutes. Automatically monitor how long and how well you sleep and set a silent vibrating alarm. Make each and every beat count with Charge HR-a high-performance wristband with automatic, continuous heart rate and activity tracking right to your wrist. See heart rate all day and all through workouts to get more accurate calorie burn, reach your target workout intensity and maximize training time. Track steps, distance, floors climbed and sleep quality and more, and stay connected with Caller ID and time of day on display. Charge HR also wirelessly syncs in your smartphone and computer so you’ll monitor your trends and get the motivation you want to push yourself further-each and every step, each and every beat, on a daily basis. Get continuous, automatic, wrist-based heart rate monitoring and see simplified heart zones without a uncomfortable chest strap. Track steps taken, distance traveled, calories burned, floors climbed and active minutes. Record workouts in Exercise Mode, then see detailed workout summaries to your smartphone. See call notifications right to your wrist when your phone is nearby. Bright display shows day-to-day stats and time of day right to your wrist. Routinely monitor how long and how well you sleep and set a silent vibrating alarm. Record workouts in Exercise Mode then see detailed workout summaries to your smartphone.